So I’m a little behind on the bloggy, per usual and needed to scratch that HAVE to get all of these wonderful party photos up and on the site. 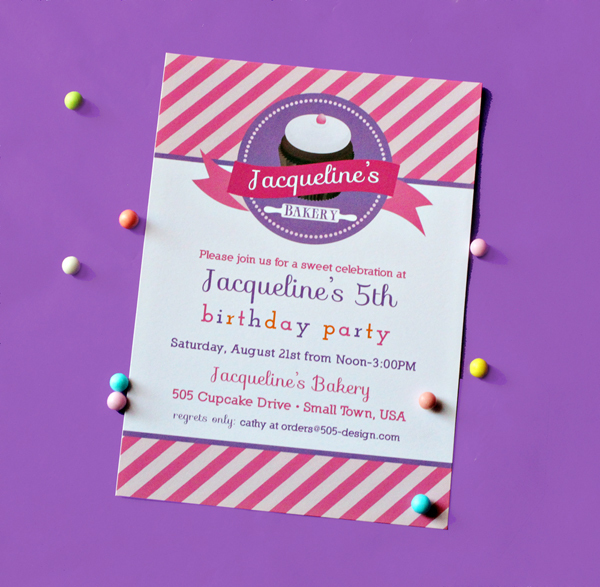 First up is the Bake Shop party I had for my daughter’s 5th birthday. 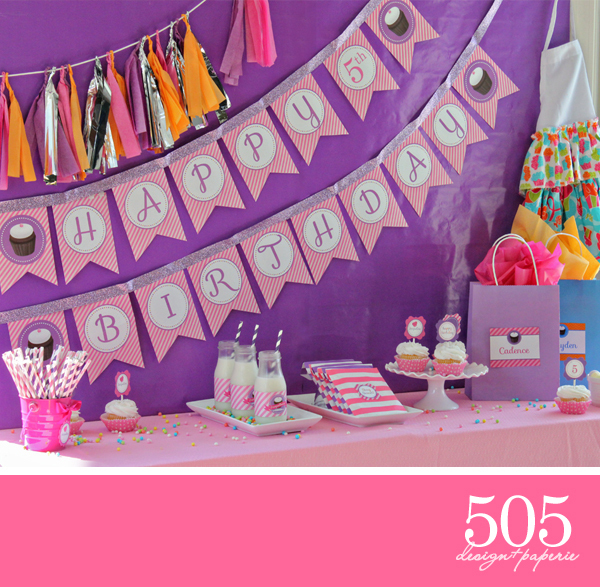 To date, this party tops the list of all time favorite projects. I think what made it so fun is two very important elements. 1. 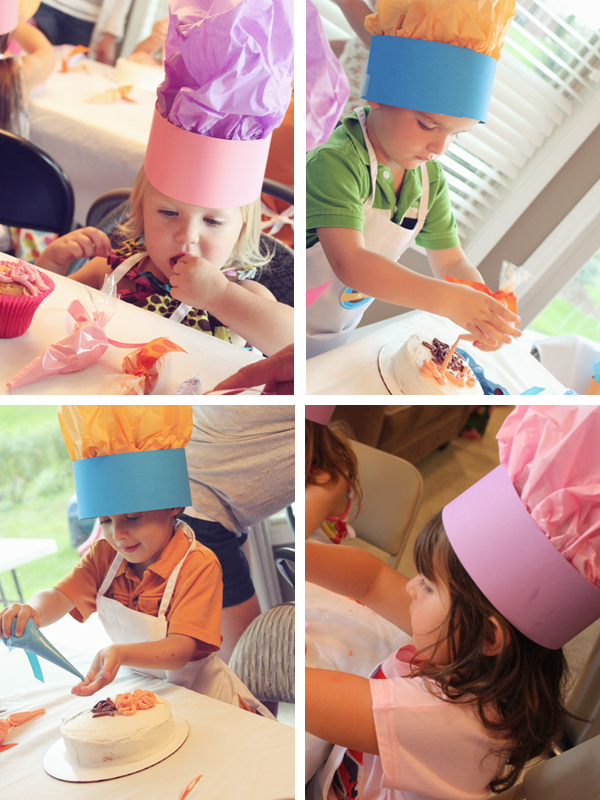 The kids had a blast decorating cakes and were so proud of there creations. 2. Everyone stayed very busy with all the fun activities we planned. The party was held at our house with 15 of my daughters closest friends. I moved the table out of our eating area, added two banquet tables and set up the Bake Shop. I found a great tutorial on how to make the chefs hat over at The First Grade Parade. 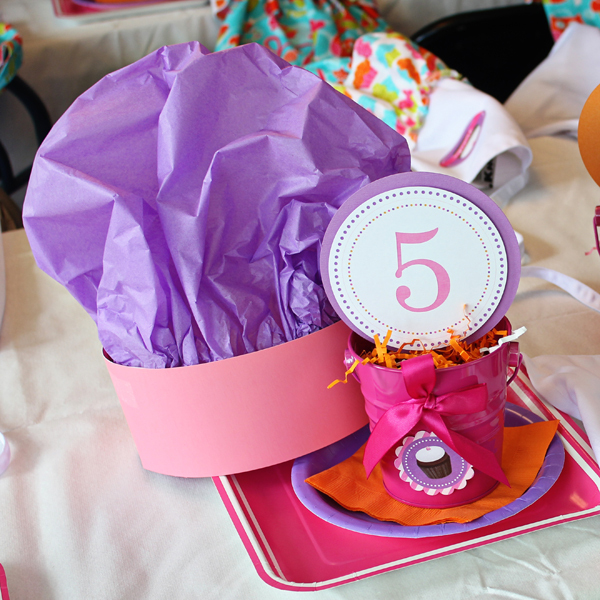 Very simple and inexpensive, all you need is tissue paper, post board and tape. The white aprons where purchased at KNG International. 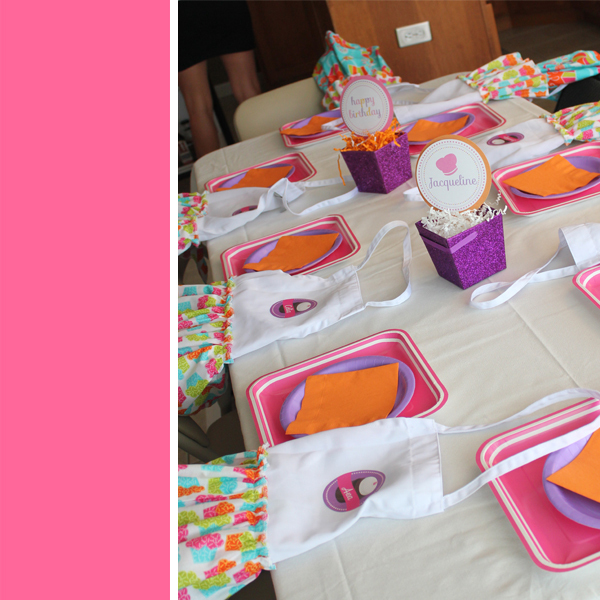 Each apron was personalized with a printable stickers (included in the party package) and my super crafty mom added ruffles for the girls. Now it was time to decorate. Each guest received there very own cake and 3 tubes of frosting to decorate with. 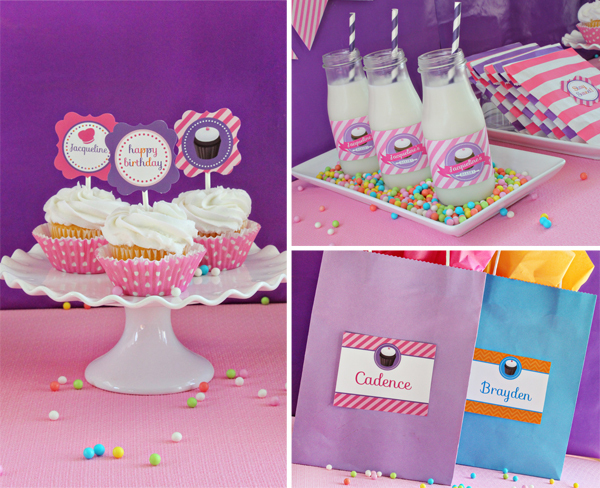 The boys had chocolate, blue and orange while the girls were supplied with pink, purple and orange (by request of the birthday Princess). 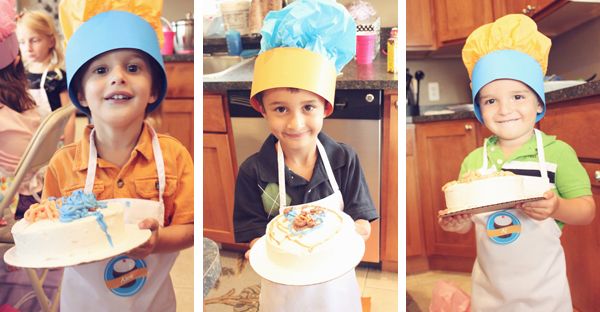 Honestly, how cute are they in their little chef outfits?! 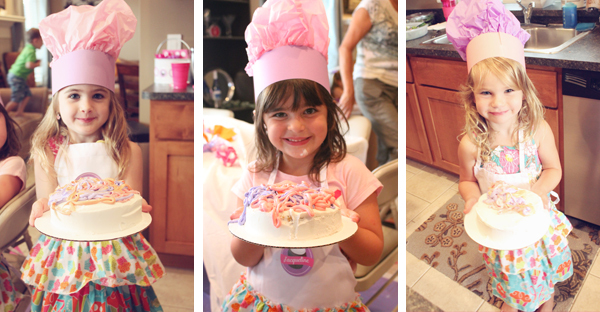 When everyone was done I snapped a picture of each little cutie showing off there cake – look at how proud they were. 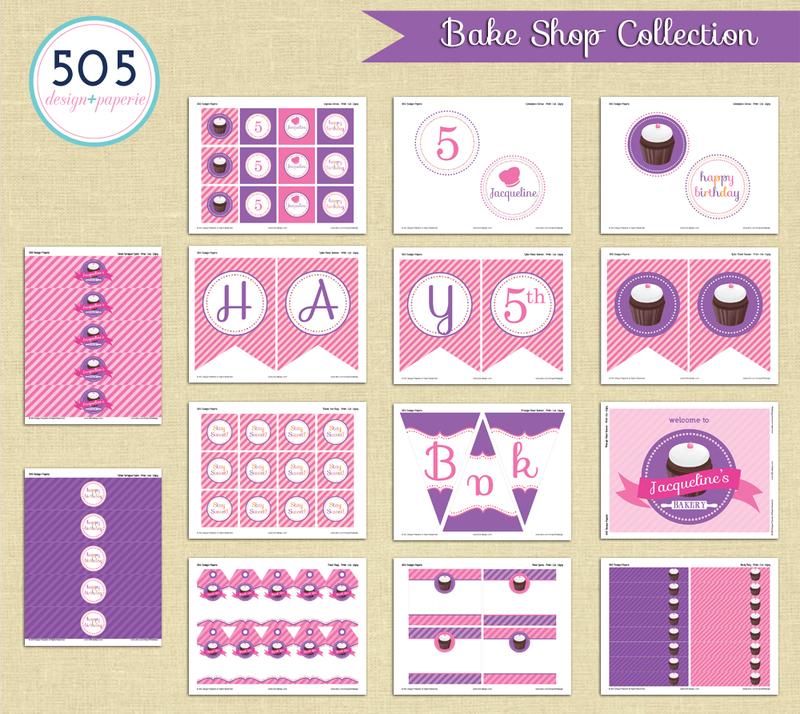 If you are interested in hosting your own baking party the printable party package is now available in The Shop.